Not everyone has their own kids, but all of us know and love some. Or, we truly think that everyone we know is still a child somewhere deep in their soul. And our 4th Prague's shopping guide is made for all the babies, adults or playful seniors. From all the lovely shops for kids, Ookidoo is the place that took our heart in the very first second we have discovered it. Maybe it is because of the small size that is equal to our tiny Kurator, but for sure it is made by the nice and clever selection of beautiful and top quality toys and books. Martina can spend hours in here and the gentle owner is always glad to assist and ready to explain all about the beauties they have. Most of the products are designed and made in France, or generally in Europe. Ookidoo is hidden in a small narrow street near Narodni Trida tram stop - Ostrovní 1708/12, Prague 1. The lovely tiny Ookidoo has something nice for newborns, toddlers as well as for us - the playful adults. Hugo chodí bos is a brand new shop that is devoted to the Czech toys only. All the products you can see and buy here are made in our country. They have some toy designs that all of us used to play with as a small kids, and some of the companies has even served with toys our grandparents. Hugo chodi bos means Hugo walks barefoot and in this place, you wish you could do it too. Hugo chodi bos is located on Reznicka 12, Prague 1. Hrackoteka is a place with wide selection of French and Czech toys, educational table games and a lot of funny and nice little presents to make your small ones happy. Hrackoteka is located in Skolska 34, Prague 1. Pernickuv sen ( the Gingerbread's dream in English) is all about childhood. 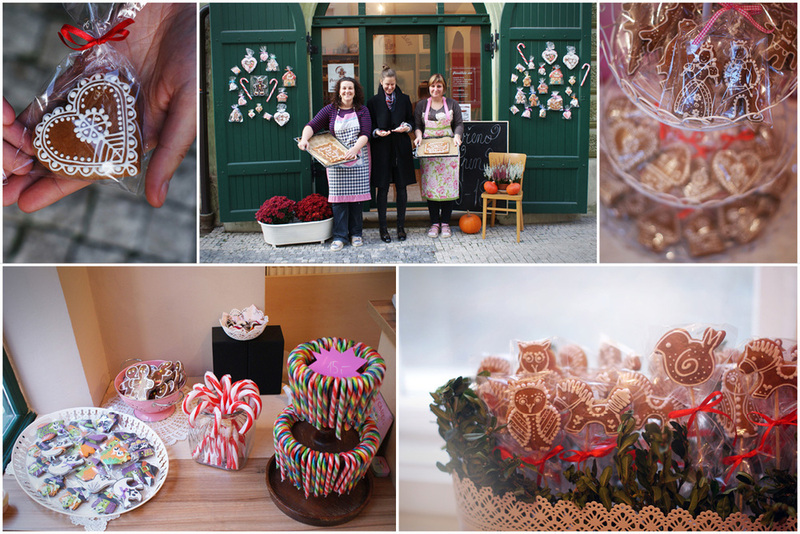 Everything you could dream about is here made from delicious and traditional Czech gingerbread and the two kind ladies, who are also the proud owners of this small sweet kingdom will be more than happy to explain you every single thing you'd like to know. There are two large ovens in the back room where most of the products are created and freshly baked, some other kind of gingerbread products and sweets are made in a small Czech manufactures. You can find the Pernickuv sen in Hastalska 757/21, Prague 1. Well, what do you think about all the tips we have gave you by now? We hope, that you like them and that you will like our upcoming Day 5 tips as well.